Many religious people are suspicious of significant issues in science. 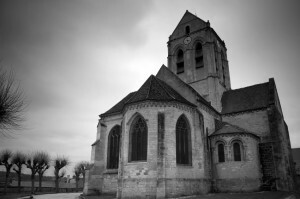 Many people—religious and non-religious alike—reflect suspicions and indifference toward the church (especially among younger people); one of the reasons for many young people leaving the church is the perception that churches appear hostile to science, as a Barna study claims. Could it be that many if not all fears and suspicions of science as well as the church are in the head? Regarding the suspicion of key considerations in science, specifically as it relates to Evangelical Christianity, it is worth noting the cultural, emotional and psychological damage caused by the aftermath of the Scopes “Monkey Trial” in 1925. It is still present in conscious or unconscious ways. The impact of that trial has led George Marsden to write, “It would be difficult to overestimate the impact” of the trial “in transforming fundamentalism.” George Marsden, Fundamentalism and American Culture: The Shaping of Twentieth-Century Evangelicalism — 1870-1925 (Oxford: Oxford University Press, 1980), p. 184. Given the damage done to the movement as a result of that trial, I wonder how many of Evangelical Christians’ suspicions of science are in the head. It is important for churches and Christian educational institutions to work hard on the integration of faith and science. Further to what was stated above concerning many young people leaving church today, some Christians’ fears and/or disregard for science in the church can lead scientifically minded and vocationally oriented individuals to feel isolated and leave church. David Kinnaman addresses this concern and many others in You Lost Me: Why Young Christians Are Leaving Church…And Rethinking Faith (Baker Books, 2011). Kinnaman quotes a young man named Mike, who says: “I knew from church that I couldn’t believe in both science and God, so that was it. I didn’t believe in God anymore” (p. 138). Christian leaders such as myself need to pursue the integration of faith and science in ways that foster and strengthen these respective domains (regarding this subject, see my recent post titled “Missing Links: On Faith and Science”). With these points on the need for integration in mind, let’s turn to consider the relation of the brain, body, and beliefs. The hope is to show through such reflections as these that there is no necessary hostility between science and faith; perhaps the hostility and suspicion between science and religion is all in the mind. By overcoming the disconnect, we might be in a better position to connect people with church. The brain, the body and beliefs are intimately connected. Take for example this PBS documentary titled “Faith and the Brain” that discusses how religious practices and beliefs influence the brain. So, too, there is a close connection between the rational and emotional dimensions of the brain, as discussed in the PBS documentary titled “The Adult Brain: to Think by Feeling”; their interaction is essential to one’s well-being. One of the things that stand out to me from these studies is that we are fearfully and wonderfully made. As the Psalmist writes, “I praise you, for I am fearfully and wonderfully made. Wonderful are your works; my soul knows it very well” (Psalm 139:14; ESV). Religion should not fear science, but learn from scientific truth. I believe the more we learn from science, the more we will come to realize that we are truly fearfully and wonderfully made. Greater consideration of scientific studies should demonstrate to Christians the profundity of biblical faith and its emphasis on the profound connection between the spiritual and physical dimensions. For example, orthodox Christianity prizes embodiment. We do not exist as disembodied spirits, but rather, as embodied souls. The eternal Word did not hover above the physical world, but became flesh and blood (John 1:14). Such theological considerations should help us to take seriously the scientific studies noted above that there is a close connection between the body, brain, and beliefs. Such theological considerations and scientific studies can also help churches foster greater inclusivity and connections with people who might otherwise leave church. My question(s) on embodied presence: When it comes to personhood and relationality, is there something important to our being bodied people? When we remove the body but leave communication, does this change how we relate? Christ came as an embodied human male, and not as a spirit or human soul without a body. Why is this important? Does the body matter or is it simply a tool for relationality? What happens when we use technology in place of our body to communicate? Is technology that removes the bodily presence an extension of the human, a dissection or something else entirely? John is by no means antagonistic to technology; actually, he is quite adept at it. Still, he and I wonder why many people today often prefer texting to other forms of communication. What is the impact of texting on our relationships if it and other non-physically present means of communication do not complement but rather replace face-to-face communication? While technology can create venues for greater accessibility, virtual church gatherings through social media can never take the place of embodied church. Orthodox Christian faith requires that we come together as embodied souls, not disembodied spirits. Face-to-face interaction strengthens our faith; I believe this is what the writer of Hebrews has in mind: “And let us consider how to stir up one another to love and good works, not neglecting to meet together, as is the habit of some, but encouraging one another, and all the more as you see the Day drawing near” (Hebrews 10:24-25; ESV). I wonder if the decline in church attendance has something to do with the decline in face-to-face interaction in society in favor of virtual connections. Having spoken briefly of technology, let’s take a second example—race. Greater understanding of the brain may impact our view of racial dynamics and the need for greater inclusivity in the church. Various studies suggest that exposure to the faces of people of different ethnicities activate the amygdala, which is associated with fear conditioning, far more than faces of the same racial background or ethnicity (personal note: it leads me to wonder if and how discussions about science might activate the amygdala in some religious people’s heads). It appears that greater exposure can reduce such increased activation. See Grit Herzmann, et al, “The neural correlates of memory encoding and recognition for own-race and other-race faces,” in Neuropsychologia 49 (11): 3103–3115. Intentionality in creating exposure through the diversification of churches may very well help churches decrease such fears and help people sense loving affirmation and experience inclusion. 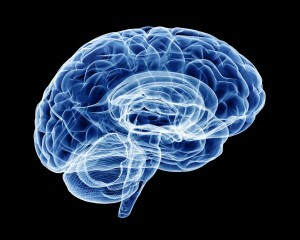 Other studies suggest that people’s prejudices and beliefs impact facial processing and memory dimensions of the brain. See J. A. Richeson, et al, An fMRI investigation of the impact of interracial contact on executive function,” in Nature Neuroscience, 6 (12): 1323–1328. Based on such analyses, it has been claimed that beliefs can help control amygdala activation. In keeping with this point, it has been argued that racism decreases when we foster the convictions that there are racial differences as well as racial equality. Take for example the volume titled Are We Born Racist? : New Insights from Neuroscience and Positive Psychology (Beacon Press, 2010). The Judeo-Christian belief that we are all created in the image of God (See Genesis 1:16-27) and that God values diversity as revealed in all peoples of various cultures worshiping before the throne (Revelation 7:9-10) should lead church leaders to cultivate greater unity and inclusivity involving diversity in church bodies. For these and other reasons, I ask: could it be that many if not all fears and suspicions of science as well as the church are somehow in the head? You probably hear it as often as I do. “Trying to get them organized is like herding cats.” Whether it’s being applied to the stewardship committee, the congregational council, or the local minister’s alliance, it’s an apt simile whenever you come across a pack of individuals who are more interested in getting what they want than they are getting where they need to go. This is never more true than when working with a local congregations. Recently I spent thirty minutes coaching a pastor and board chair in the fine art of conflict resolution and herd-culling (it’s pretty clear there will be no conflict reconciliation in this congregation). The issue facing the congregation is that multiple groups (cats) want to “lead” the church in different directions. And the biggest problem is that there has been no clearly defined, unifying mission or vision. And without a unifying mission and vision, every cat has their own idea about why the church exists and what it’s trying to accomplish. The church wouldn’t be in this fix if it had started with a compelling, God-given mission and an awe-inspiring vision. So take a lesson: if you’re tired of herding cats, get a bigger, more tasty, succulent mouse. Too many churches reflect a misguided mission mindset that puts member care above all else – and especially above the only Jesus-mandated reason a church exists: to make disciples. And too many churches have adopted an uninspiring vision that’s either too safe or one that’s so heavenly minded it’s no earthly good. Jim Collins suggested every organization needs a BHAG – a big, hairy, audacious goal. Your congregation needs a BHAG … a reason to move as one in a single direction. If it doesn’t then competing missions and visions and good ideas and some not-so-good ideas will fragment your church and at best you’ll have cats to herd. At worst you’ll have a cat fight. And then hit your knees and stay there until you’ve caught God’s vision for your congregation. Bridgebuilders Ministries is a firm advocate of a social networking presence by pastors in particular. This article first appeared on the CHRISTIAN POST’S blog ON-LINE MISSION. We spent a couple of days earlier this week discussing 18 Ways Pastors Can Ruin their Reputation on Facebook. It stirred some emotion as a number of people vented about some of the misuses of Facebook they’ve seen pastors make. If you’re a pastor, I hope that hasn’t scared you away from Facebook, as it remains a great tool for connecting with people within your church and community. Today we turn towards the positive and look at 8 things pastors should do on Facebook. 1. Listen. James 1:19 says, “My dear brothers and sisters, take note of this: Everyone should be quick to listen, slow to speak and slow to become angry” Nothing could be more important on Facebook. Listen more than you speak. By listening you’ll get to know people better and learn what’s going on in their lives. You find out who is hurting, who is frustrated, who is thriving, who is gifted in ways you never realized. 2. Pray. James 5:16 tells us, “The prayer of a righteous person is powerful and effective.” Whether your Facebook friends post good news or bad, a success or a failure, you can always pray for them. When you do, ask God for guidance as to how to respond if at all. He may prompt you with the words to type in a reply. He may prompt you to pick up the phone. Who knows what could happen. 3. Engage/comment. Of course, if all you do is listen and pray, you’re not going to have much impact on Facebook. In fact, nobody’s going to even know you’re there. Show you care about your Facebook friends by engaging with them. Comment on people’s updates. When other people comment on your updates, reply back to them. Respond promptly to messages and new friend requests. 4. Publicly encourage. One of the best ways you can engaged with people and show you care is to encourage them. It doesn’t take a lot of time or effort either. Posting a comment on someone’s update with a simple “Congrats!” “That’s awesome!” or “I’m praying for you,” shows the person (and their Facebook friends) that you really are listening and you care. 5. Respond privately to sensitive issues. Facebook not only provides the means to respond publicly to your friends, but also privately. If someone posts an update alluding to a personal or sensitive issue – their relationship status changes, they’ve lost their job, they sound depressed – in addition to publicly encouraging them, you may want to want to send them a private message. Not only does it give you the opportunity to say something you might night want to say publicly, but by asking open-ended questions you invite them to open up more privately about what’s going on and how they’re really doing. 6. Be human. People are not connecting with you on Facebook so they can hear about God and church all the time. They want to relate to you as human being. Post about what’s happening in your life. Share photos and video of your family. Talk about your other interests and hobbies. Share links to articles you think are interesting. 7. Be authentic. People are also not connecting with you so they can see how perfect people live. Don’t just post the good stuff that’s going on in your life. It’s OK to express sadness, anger and frustration. In fact, it’s not just OK, it’s necessary. We are all frail and sinful. People need to understand that as a pastor you are not better than they are. You are just blessed to be forgiven and have the Holy Spirit at work in your life. 8. Initiate friend requests. Some people are afraid to initiate a friend request with a pastor. After you meet someone in the community or meet someone for the first time at church, initiate a friend request with them the next time you’re on Facebook. Remember Jesus hung out with prostitutes and tax collectors, so you should be hanging out on Facebook with people who are not Christians too. Unless you happen to be inviting a formerly well-churched person who somehow misses the falderal of doing church, there are few people out there just waiting for an invitation to come to church … pollster’s statistics notwithstanding. As I’ve said before, pretty much everyone who wanted to be in church last week was in church last week. That means that everyone else really didn’t want to be in church. So why bother inviting them? Especially since they’re unlikely to accept your invitation anyway. Besides, there’s a better and significantly more effective way. Typically, people only accept invitations to events (functions, meetings, etc.) that they perceive will add value to their lives. Of course, “values” are as personal as they are ephemeral. What one finds valuable another finds pointless. The truth is, a lot of people believe they get more value out of staying in bed than they would from attending a worship service on Sunday morning. On the other hand, these same folks find value and invest their time in hanging out with friends, going to concerts, attending workshop on improving their lives or their golf game, and taking their children to endless soccer, t-ball, gymnastics, and swimming practices. Value is in the eye of the beholder … and for a growing number of people, attending a worship service just isn’t worth the investment. If your church is serious about reaching these folks, and if you depend on member’s inviting those in their circles of influence to come to church, then the church will need to host something “valuable enough” (in the eyes of the beholders) that your members’ friends are willing to say “Yes!” to an invitation. A church in a very small town is located next door to the town’s single-screen theater. They’ve got a good relationship going with the theater owner so they get a heads up about upcoming movies a good bit in advance. They’re offering a Family Friendly Dinner Date Night a couple times a year and they encourage their members to invite their friends to it. For $15 per adult, the date night includes a sit down dinner at the church, the cost of admission to the movie, and childcare for the kids. Of course, the childcare isn’t just babysitting. The children’s team pulls off full programming with the children that’s gentle-faith based and over the top fun. The kid care is designed to encourage the children to be excited about coming back. But like Ginsu knives, “But wait! There’s More.” Just before the movie lets out, the church sets out a family friendly bedtime snack spread to encourage lingering and mingling. And as the families linger, the church members serve, and mingle, and build new relationships. But the real genius isn’t the invite-worthy event; it’s what comes next. Sure, the kids go home with their handmade craft (that’s always a lot better than a coloring sheet), but the parents go home with a “handoff” as well. They receive an invitation to a special three-week series on a topic targeted to these mostly unchurched families. Sometimes there’s a three-week series based on the movie, but more often it’s a three to four week series that’s compelling such as the date night was. For instance, following one of the date nights, each couple was given a VistaPrint magnet card that advertised an upcoming three week sermon series titled: A Guys’ Guide to Relationship Sanity. The series is based on how husbands (and prospective husbands) should treat their wives (prospective wives). The church was intentional in creating a series that guys could get into … but that the women were invested in getting their guys to go to. But the genius just keeps on coming. Before the series is over the church will be delivering another handoff event or series to keep the guests (and the members!) coming back. Sure Social Media and Networks, like Facebook, YouTube, Instagram and Twitter etc.., have a big “gee-whiz” factor. Everybody is hopping on the bandwagon. People are telling you that if you and your church don’t get connected to this new media that you’re going to get left behind and miss out. The answer to that question comes from business -they call it ROI, Return On Investment. What is the ROI of Social Media for ministry and your church? In this post, I don’t want to address the quantitative aspect of ROI, but rather the qualitative. How does social media improve the quality of ministry and help move the church’s objectives forward? – it’s easy and effortless, it doesn’t take much money or manpower to implement or use it. – it’s ubiquitous, since it is so available and pervasive it isn’t hard for people to miss the message. – it’s variety, social media takes many different forms, words, audio and image. – it’s viral, the beauty of social media is that your message can expand well beyond it’s intended audience – therefore exposing and introducing new people to your cause and community. – contribute, can others contribute in helpful and meaningful ways to the conversation? Are they even able to shape the conversation? – collaborate, does your social media allow the benefits from the collective hive of experience, skills and knowledge from your community? – Go, are you asking someone to go and serve others in some way? – Give, are you asking someone to give either of their time or financially to the cause? – Pray, are you calling people to act in concerted and persevering prayer? -Mobilize, are you asking people to spread the message of the cause to their friends and networks? 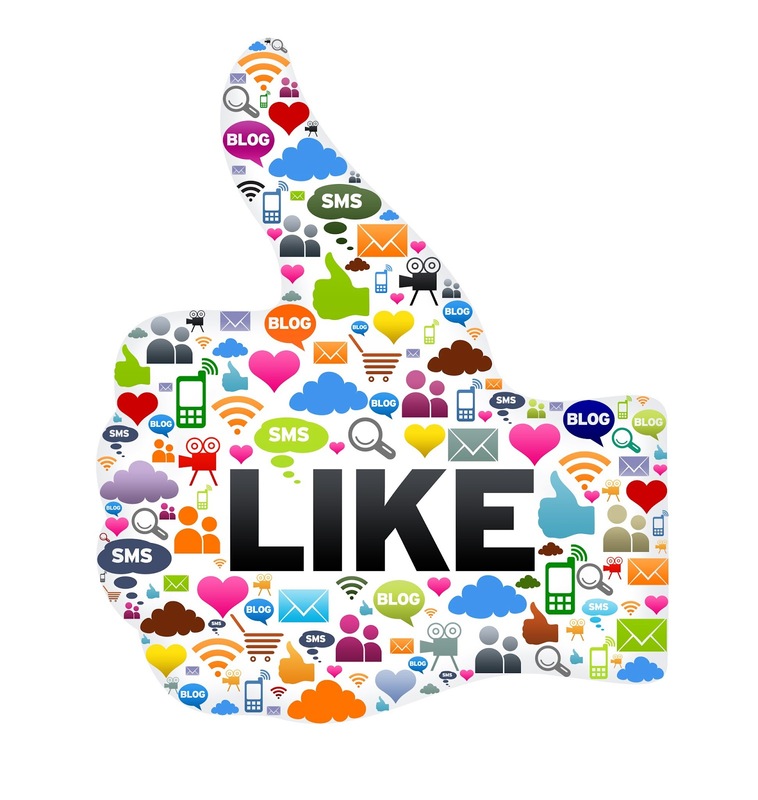 So as you think about Social Media for your church, ministry or non-profit, you must ask yourself….How will this new Social Media “thing” help our church, ministry or organization Communicate, Connect our Community, and Call People to Action? If you have a clear answer to that question, then most definitely your church should invest in Social Media. One of the basic principles of Bridgebuilders is the need to be continually and realistically exegeting the culture. Scott McKnight provides this important insight. Parents and pastors, friends and co-workers… this deserves our attention. Stress levels for Americans have taken a decidedly downward turn across the USA — except for young adults, whose stress is higher than the national norm, says a survey to be released Thursday. Those ages 18-33 — the Millennial generation — are plenty stressed, and it’s not letting up: 39% say their stress has increased in the past year; 52% say stress has kept them awake at night in the past month. And more than any other age group, they report being told by a health care provider that they have either depression or an anxiety disorder. The online survey of 2,020 U.S. adults 18 and older, conducted in August by Harris Interactive for the American Psychological Association, has been taking the stress pulse of Americans since 2007. On a 10-point scale, where 1 means “little or no stress” and 10 means “a great deal of stress,” the 2012 average is 4.9. But for Millennials, it’s 5.4. “Younger people do tend to be more stressed than older people do. It may be they are more willing to admit to it. It may be a phase of life. They just don’t know where they’re going in life,” says Mike Hais of Arcadia, Calif., a market researcher and co-author of two books on that generation, including 2011′s Millennial Momentum. But for this group, there is more cause for worry, Hais says. “Millennials are growing up at a tough time. They were sheltered in many ways, with a lot of high expectations for what they should achieve. Individual failure is difficult to accept when confronted with a sense you’re an important person and expected to achieve. Even though, in most instances, it’s not their fault — the economy collapsed just as many of them were getting out of college and coming of age — that does lead to a greater sense of stress,” he says. A while back I was listening to Greg Koukl’s radio show “Stand to Reason”, and a caller challenged the need for apologetics (1 Peter 3:15) at all. His main concern was that nobody could be “argued” into the Kingdom, and that apologists were wasting their time with “hollow and deceptive philosophy” (Colosians 2:8). I have to agree that his first premise is valid, but I don’t agree with the second premise and thus, his conclusion. I don’t think that anyone can be “argued” into the Kingdom. For example, knowing that someone exists is different from wanting a loving relationship with them. Someone can believe that the Christian God exists, yet not want to have a personal relationship with Him. That person can recognize that the evidence points toward the Resurrection being a historical event, but not want to dedicate their life to that fact. A belief that is different from a belief in. A belief that means you know that something is true. A belief in is a life-commitment to that truth (a conscious choice to change your actions to be consistent with that truth). See Psychology Class Series for more on this. Having said that, a belief in something requires a belief that that something exists. If someone does not believe that something is true, why would they commit their life to it? Apologetics is important because it helps people to take the first large step into the Kingdom. For many people, an apologetic approach is not necessary (they may not have philosophical, historical or scientific questions). They may simply have never understood the Gospel. In this case, no, we don’t need to waste our time with philosophy. We don’t want to create a stumbling block where one does not exist or is not realized by the person himself (1 Corithians 10:32-33). I have to admit that I have focused so finely on the arguments that I fear I have created stumbling blocks where they weren’t before. When to use apologetics and when to simply present the Gospel (or both) is something that I have to learn. I believe the caller above had a good point in showing a possible extreme, but he must recognize, though, that his side is also an extreme. Greg Koukl’s book Tactics (My Review) is a great resource to start to help determine when to use which approach with a nonbeliever. This reminds me of the value of the different parts of the Body of Christ. Granted, all Christians are called to “be prepared to give an answer to everyone who asks you to give the reason for the hope that you have” (1 Peter 3:15), but there are some who have deeply studied specific challenges and their answers. Christians should never think of one “gift” as less valuable than another (1 Corinthians 12:24-26) because some day, they may need to swallow their pride and refer someone to a Christian whom God has given the answer to the question being asked of them. As mentioned in the Psychology Class Series, emotions (the heart) is key to the acceptance or rejection of a belief. The Holy Spirit is who works on the heart of people to bring them to Christ. The Holy Spirit prepares the emotions (heart) to accept the evidence. Christ commanded his disciples to go make disciples. The Christian’s duty in evangelism is to provide the evidence to the person, so that the emotions (the heart that the Holy Spirit has been working on) will accept it- thus changing a life. Those whom the Holy Spirit has been working on are drawn to Christ, but may need an intellectual reason to accept Him. Apologists can provide that intellectual reason. We need to “be prepared to give an answer to everyone who asks you to give the reason for the hope that you have”. Near the beginning of this post, I stated that no one can be argued into the Kingdom. The reason for this lies in the above paragraph. If the Holy Spirit has not prepared the emotions (heart) to accept the evidence, no number of arguments will convince them. They are emotionally attached to a non-Christian idea, and will satisfy themselves with all sorts of rationalizations and absurd philosophies to avoid acceptance. As the Church, we need to learn to recognize our role in the Great Commission. It is not to convert; it is be a witness- provide evidence from experience, nature, and philosophy. We also need to recognize the role of the Holy Spirit. It is to soften the heart to allow for the recognition of and commitment to The Truth. I remember my frustration when in my “earlier” years as an “apologist”. I would always think that I’ve got the Truth and impenetrable arguments to support it. When one argument didn’t cause a conversion, I would arrogantly whip out another (unwittingly, this probably cause more stumbling blocks). When someone still didn’t accept it, it caused much frustration for me. I just didn’t understand how or why someone just couldn’t get it. When that happened, lots of ad-hominem attacks were having a party in the back of my head and were attempting to dance right out my mouth. When I finally recognized this balance of duties with regard to The Great Commission, my frustration with people who “just don’t get it” went down considerably. I had to swallow my pride. I am not that great. The salvation another a non-believer is not because of me. It is because of the Holy Spirit who worked in the life of the non-believer and myself (which is a result of the Holy Spirit working on my heart, which is the result of the Holy Spirit working on the heart of another, etc…). There is no need for me to get so frustrated or be arrogant. If an argument that I present helps a person come to Christ, I thank God that He allowed me to be an instrument in His orchestra. I am still in the process of being sanctified by Him, and at times, I will be out of tune and hit wrong notes. Because my choice is to worship Him with all my heart, soul, and mind, He can still use me to be an ambassador, while He prepares me for eternity with Him.